Introducing the Kitchen and Culture Week in a Luxury Villa in Tuscany. You are welcome to be our guest on this unique experience where food, leisure and new corners of the Tuscany countryside are king. 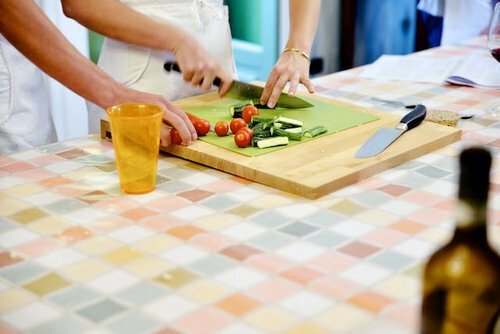 Thanks to the collaboration of top chefs, Tuscan Life, can organise cooking lessons in which you can learn in a fun way to be deft and creative in the kitchen. An exclusive wine and culinary experience in Tuscany accompanied by cultural visits to breathtaking landscapes, Reinaissance villages, iconic wineries. The possibilities are varied and flexible and can be adapted for all requirements, from typical local dishes of the Lucca area to refined specialities of Italian cuisine. All of this is possible thanks to our professional kitchen, which has been planned and fitted out to satisfy even the most discerning guests. Kitchen and Culture week is an alternative program for those who would like to combine the cultural aspect of the atypical Tuscany cities and their culinary world. It is designed to combine the concept Town-Food-Culture. 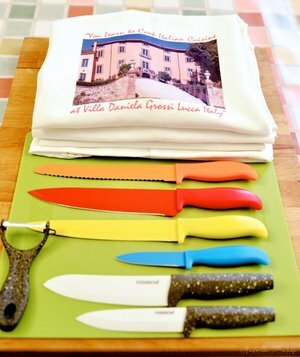 Book your Kitchen and Culture week at Villa Daniela Grossi. An all inclusive experience for you and your family. of the world’s most beloved wine and culinary destinations: Tuscany, home to breathtaking landscapes, Renaissance villages, iconic wineries, and the Bistecca Fiorentina. You’ll go behind the scenes with private, hands-on activities to truly live the Tuscan lifestyle, and learn what makes travel to the region one of the most popular “bucket list” experiences. A Week-long experiences include exclusive, luxurious accommodations, transport while on the tour, meals, beverages and activities. For more information and quote please fill the form below and we'll get back to you soon.